Recently the media has been filled with the news of President Obama’s announcement that American solders will be withdrawn from Afghanistan. When I read this news, my disappointments and fears returned. My mind flew to the memory lands of the past and I remembered when the Taliban ruled. I remembered how difficult life was during that time. The Taliban made me and hundreds of other Afghan girls stay at home and not go to school. There was poverty and instability in Afghanistan then. The number of beggars, especially women and children, increased. It was difficult to obtain basic food like flour and rice. People had to make bread by mixing a little flour with boiled potatoes. The Taliban also committed many atrocities. One day when I was about 13 years old, I had been sick, so my father was taking me to the doctor. I was wearing a burqa, and it was hard to walk comfortably. On our way there, we had to pass through a crowded bazaar where people were selling fruits and vegetables in an open area. As we were leaving, I stopped suddenly and stared at a human hand hanging from the top of a stick in the middle of crowd. People were not paying much attention to the hand and it seemed as if it had been there for a few days because its color had changed to gray. My father told me not to look, but I had already seen it. I asked my father why it had been cut off and to whom it belonged. He said it may have been the hand of a poor man who was accused of stealing or some other crime. . . I did not feel well for a few days after that event. I remembered another time when the Taliban took my father from my house and tortured him. It happened during the first days when our city, Mazar-i-Sharif, was occupied by the Taliban. They started to arrest men who seemed suspicious to them. My father is a writer and a poet. He wrote many essays and poems about Afghanistan and about famous people. One evening we were getting ready for dinner when there was a knock at our door. Everybody was quiet and sad due to the recent conflict. Dad went to the door and did not return. He disappeared for two days. We did not even know where he was! We had some Pashtun neighbors who had good relations with the Taliban and I went to them crying and asking them to search for my dad. Although I was only a young girl, my neighbor listened to me. A few hours later my neighbor informed us that my father was in one of the nearby Taliban stations. He was released that evening with the help of our Pashtun neighbor. When we asked Dad why he had been arrested, he told us it was because of a poem he had written about a famous person. It has been ten years since the Taliban regime failed. There is a government in Afghanistan now and laws are enforced, but these things are not strong enough to provide a secure life for the Afghan people. The Taliban and Al-Qaida still threaten us, even when we have a government and international forces to protect us. I cannot imagine what will happen if there are no American soldiers or international forces in our country. 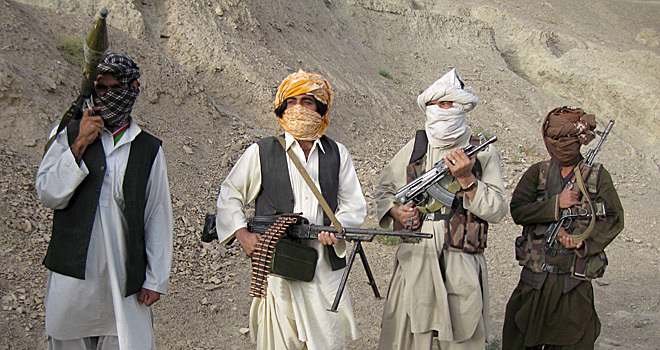 If American and international forces leave Afghanistan, the Taliban will be empowered again. They will kill more innocent people and destroy more houses. Afghan women will be locked in their homes again and children will grow up without education. Afghanistan will remain unstable and insecure for decades. If American soldiers withdraw from our country, the clouds of war will be seen in the sky of a half-secure Afghanistan. You express to the world your fears about the future so clearly. What frightening experiences you hold in your heart from the past. I hold you and all the good people of Afghanistan in my heart in light of an uncertain future. The missing hand is such a powerful image in this essay. So many unanswered questions are sparked in my mind as I read. And then to further read about your father, his bravery and especially yours — your essay is so inspiring, Farida. As a writer, I applaud your courage to witness through words. As your father did a decade ago. Thank you for sharing this story. I will be thinking about that hand for many days. It must be very scary to be in that situation. But I know you and your people will pull through. Sometimes when life seems the most daunting, a jewel will be unearthed from the rubble. Just cherish the good moments, and keep up hope, the future might not be so bad. I cannot imagine what it is like to see a hand displayed on a stick. Just the thought makes me cringe. We need your stories so that we can see through your words what you see, how you feel . I am right alongside you praying for a better world. Keep telling your story so that it moves out of the shadows, into the light for a better world. Thank you. Just keep writing–that’s what your father did. This is a powerful essay. I have been reading about the Taliban and how their regime affected your country and especially women in your country. Seeing both sides of this war is painful. A friend of mine had died from a bomb in Afghanistan, trying to protect our people but also yours. I wish the best for you and family. Your writing is beautiful. You did a great job. I am actually writing a research topic similar to yours. I will be using you as a source : ). Good luck!